RAWALPINDI: The Federal Inves­tigation Agency’s (FIA) cybercrime wing arrested on Friday two men suspected of posting on social media material and content deemed to be contemptuous of major state organs. 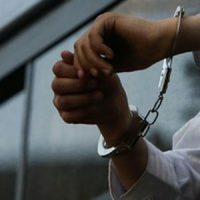 The arrests were made during raids on the residences of Anwar Aadil in Railway Carriage Factory Colony and Wajid Rasul Malik in Al-Noor Colony in the city. Following the arrest, the duo was shifted to an undisclosed location. Earlier, in the light of an FIR lodged by one Ibrar Ahmed, resident of Islamabad’s Dhoke Gujjar area, the FIA conducted an inquiry which established that Aadil and Malik, with mala fide intentions and ulterior motives, had uploaded and, through their Twitter accounts, disseminated defamatory and disgraceful material and contents against judges of the Supreme Court as well as members the armed forces and the government. The FIR stated that such illegal activities were causing disharmony and unrest among the public and inciting hatred and contempt against the government and state institutions.